A FREEBIE that I love. I had been creating this chart for quite a few years, but I finally put it into a digital format so others can use it too! Check it out! 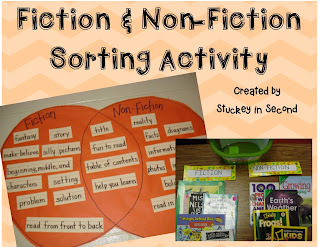 Essential for the beginning of the school year, so your students can get to know the difference between fiction and non-fiction right away. 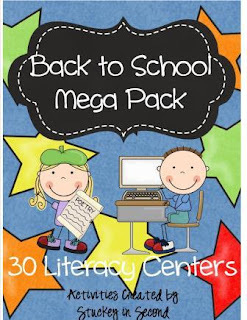 This is my 2nd grade Back to School Mega Pack set. Similarly, I pulled these out of the 2nd grade Treasures sets. 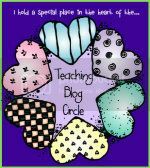 I didn't want those centers to just be limited to the Treasures teachers. 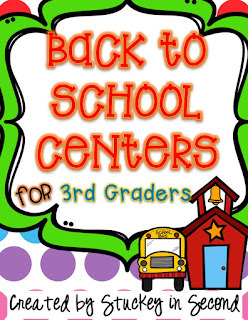 So these centers can be used by anyone at the beginning of the year. Print, Laminate, Cut, Go! :) 30 centers are included! Huge set! 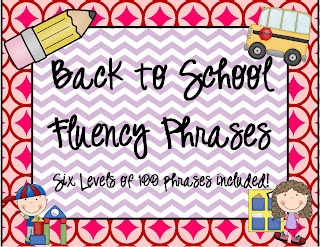 This is another of my BRAND new products and I just used it in my classroom this past week! 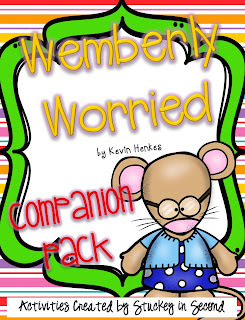 If you have the book Wemberly Worried, this is a MUST HAVE companion pack. 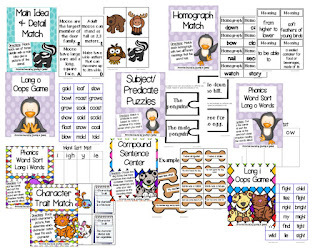 There are graphic organizers, activities, and printable hands-on centers included in this pack! 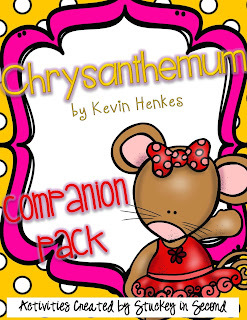 Similar to Wemberly Worried, here is a pack to go with an all-time favorite, Chrysanthemum! We did this last week too, the kids loved it and stayed very engaged! 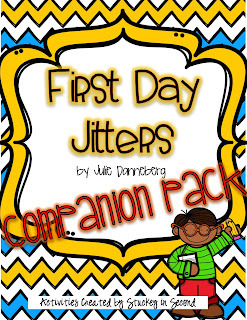 I also have a companion pack for First Day Jitters. 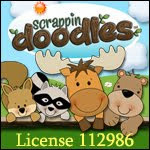 Graphic organizes and hands-on centers included! Check it out by clicking on the picture below! 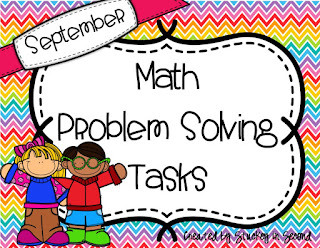 I love using these math problem solving tasks for my 2nd graders. I have a set for every month of the school year. We do one each day to get warmed up and ready at the beginning of our math block. 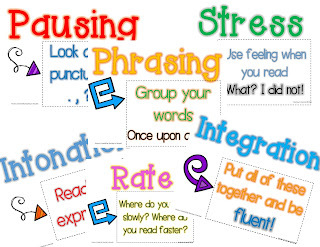 These could also be used for morning work or homework! I have created them three to a page so they are more printer friendly! If you like them, I have the whole year bundled in my store! 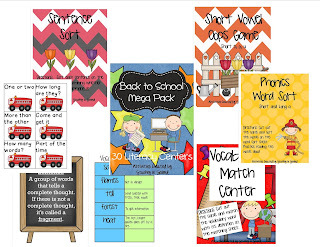 Also, if you use Envisions Common Core, you will really like these because I pretty much followed the skills being taught in that series each month when I made these. 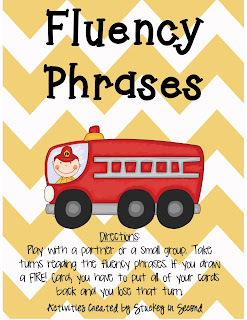 Here is another set of fluency phrases, but this time it's in a roll and read format, not the cards like the previous ones. I print these, put them in sheet protectors, then into a three-ring binder. I pull out a sheet per child for them to practice with during small groups to get warmed up. I also have a "Snow Princess" (Frozen!) version! 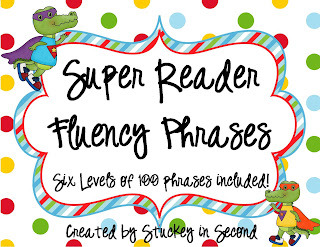 Fluency posters that I hang up behind my small group table to help each my students how to be fluent readers. 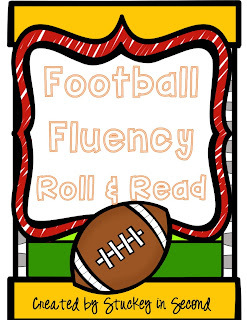 We focus on part of fluency each week! I just finished this FREE bulletin board set and added it to my store! They are iPad templates that I added a picture of each child reading a book on, plus they wrote "I like reading because..." on the bottom of each iPad. 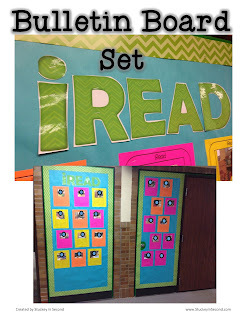 Pretty quick and easy bulletin board for the beginning of the year! 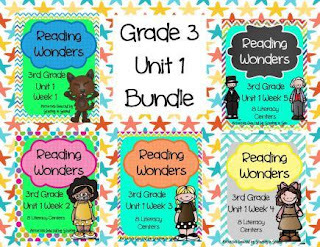 Last, but certainly not least, I also use WONDERS in my classroom and I have created resource sets to go with all of the 2nd and 3rd grade units. They are broken down by the week, but you can purchase a full unit at a time too. 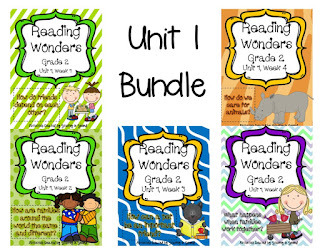 If you have looked in my store before, you will see that I have Unit 1, Week 1 available for both 2nd and 3rd grade for FREE! This is a huge value because even though it's a sample, it's a FULL sample of one week and you will quickly see how much is included in these full sets! Check it out if you use the Wonders reading series! You won't be sorry! I'm going to link the pictures below to the FREEBIES, but please note that you can click on "Wonders" over on the left hand side in my store and see ALL of my Wonders resources! They are very popular and as you can see by the reviews, they are used by many and LOVED by many. I love using them in my own classroom and after print and laminating them, this will be my third year using them in my room. They are still in good shape! I hope this blog post wasn't taken as me bombarding you with products to purchase from my store. I really just wanted to take some time to explain some of my favorites that I think are essential for back to school time. 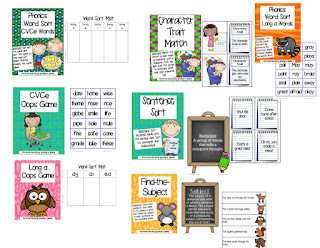 My 2nd grade classroom pretty much RUNS on many of the products mentioned here I authentically USE all of them in my room (even parts of the 3rd grade Wonders sets, I have printed and laminated them for extra stations and for my more advanced readers!) Again, not just trying to bombard you with BUY THIS BUY THIS BUY THIS. 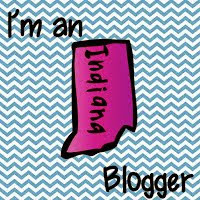 I have included many freebies that I hope you will find helpful as well. 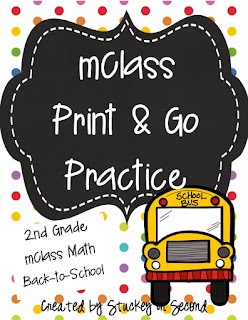 Good luck in your new school year and please continue to follow me here on my blog, Facebook, and my TPT store. I'm always creating things and throwing freebies up that I have created for my own room!